”Unfortunately the FIA World Council has decided today against allowing the Mosler into the GT3 class,” comments a very frustrated Martin Short. Martin Short was told in September that the car would be allowed to compete in GT3 and Mosler Europe made extensive (and expensive) preparations to build GT3 cars as a result. “Stephane Ratel was very supportive, and continues to be,” says Martin Short. The opposition to the Mosler came from rival manufacturers. The Ascari was allowed to compete in 2006, despite not meeting the minimum requirement of 200 road cars. Sadly, the Mosler hasn’t met with the same acceptance from the World Council, despite receiving approval from the GT Commission. 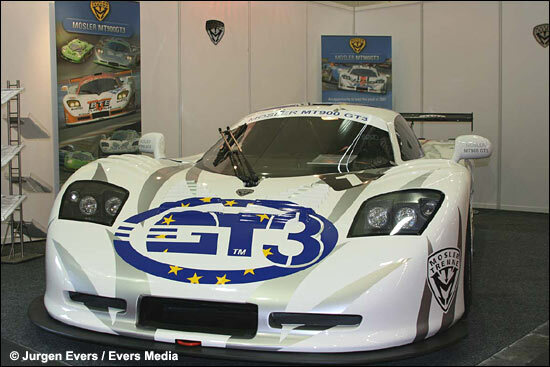 There is a possibility of having the GT3 Mosler accepted in some countries as a national GT3 runner. The Mosler was just too strong and economically sensible a rival (built in insufficient numbers, so far) for some of the other manufacturers - in a market that should have been big enough for all to have had a share. The precedent was set with the Ascari - but not followed with the Mosler.